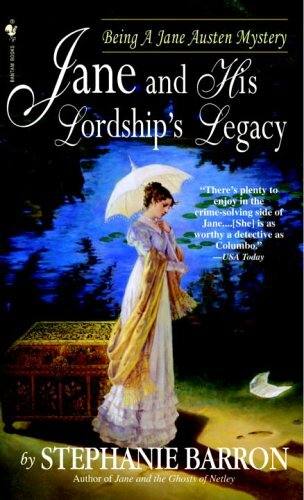 Jane and His Lordship's Legacy is historical suspense writing at its very finest, graced with insight, perception, and uncommon intelligence of its singular heroine in a mystery that will test the mettle of her mind and heart. At only 280pgs -- I think I can manage it. Also, I've been intrigued by this series since I first spotted it on the shelf above M.C. Beaton mysteries. It's not the 1st in the series -- I hope I'm not spoiling anything.